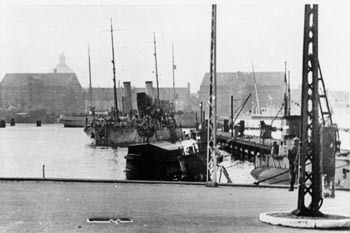 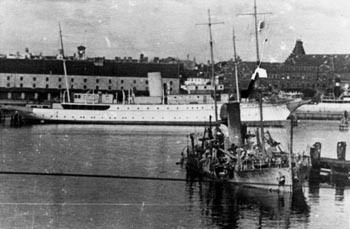 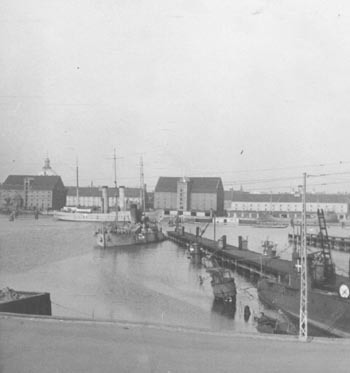 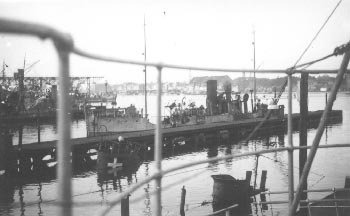 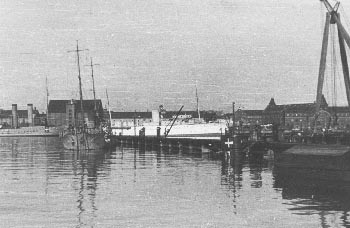 The submarine tender HENRIK GERNER was laying at the Royal Dockyard on August 29th, where its crew attempted to blow up the ship. 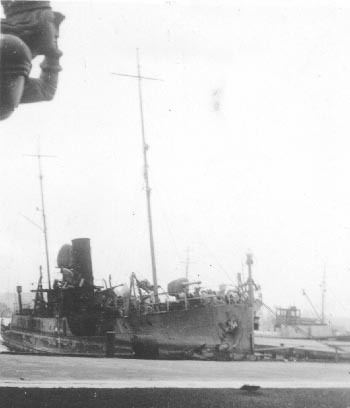 When the explosive charges failed to detonate, the crew chose to set the ship afire. 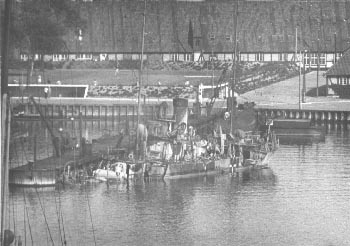 Henrik Gerner burned for more than 24 hours. 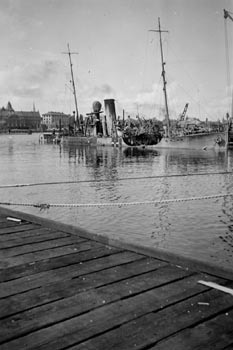 The wreck was raised on September 26th and the ship was repaired. 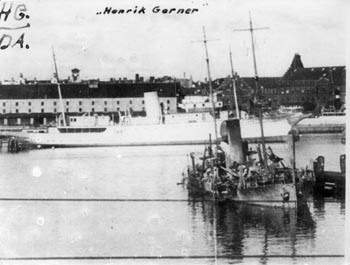 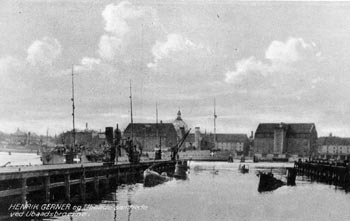 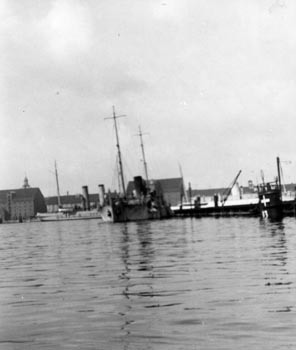 HENRIK GERNER later entered service in the German navy. 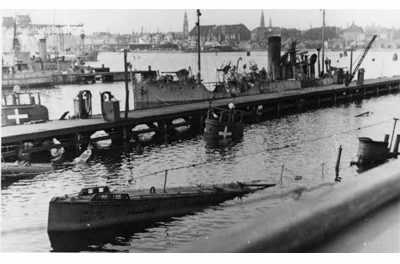 In 1945 the ship was found in Stettiner Haff but it was so heavily damaged that the Danish Navy didn't think it worth the money to salvage the ship. 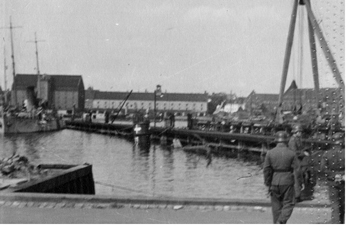 HENRIK GERNER was later taken over by the East German navy, but its later fate is unknown.